My real estate career started over 30 years ago in New York City selling commercial real estate. 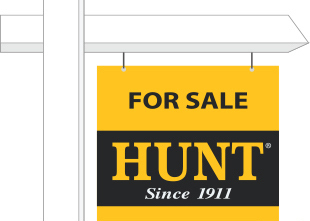 Today, I work with HUNT Real Estate ERA helping people buy and sell homes in Central New York. HUNT has many resources that provide my clients unparalleled service like their Seller Select program, which is the foundation of my home selling process. In addition to being a home buyer representative, I act as a marketing agent for home sellers, and I've partnered with a marketing firm and other creative talent using their resources to make your home shine. Integrity is essential to all my relationships. Negotiation is about setting priorities. Negotiation skills, creative marketing, and conflict resolution abilities are what get deals sold. My husband John and chose to move to Manlius and raise our family - I love living here. In my spare time, you might catch me on the golf course or in a local restaurant. I also have a passion for helping local organizations David's Refuge and Hopeprint - so passionate, I offer every client 5% of my commission to donate to a charity of their choice! I sincerely believe Central New York is a great place to live! Buying a home can be both exciting and overwhelming. From all the paperwork and negotiations, to the costs and timeline of events - there are a lot of considerations that come with buying a house. Oftentimes, new homeowners have many misconceptions about the mortgage process and general home ownership, but by doing a little homework ahead of time, you can insure that you’re on the right track to becoming a homeowner.